It should not be controversial for the political party of a president to say it is putting the interests of the country first, but these are not normal times for the Kurdish parties of Iraq. 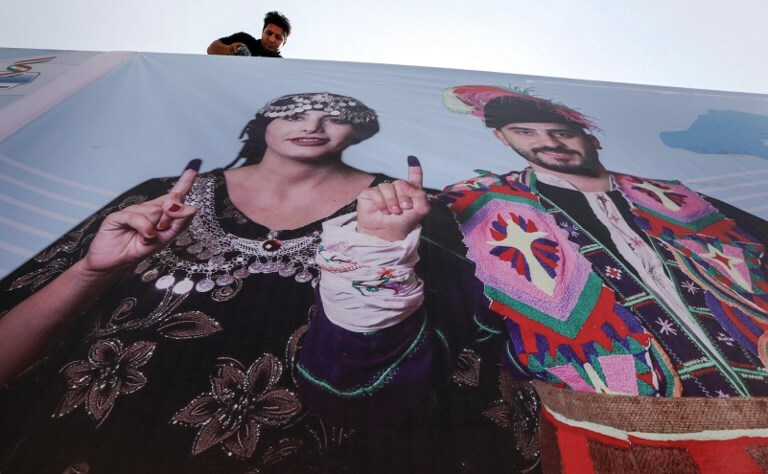 A year on from a controversial referendum and a month on from elections in Iraqi Kurdistan, the new president of Iraq is a Kurd – albeit one who belongs to a party that is putting Iraqi unity ahead of Kurdish separatism. Divisions between the two main Kurdish political groups continue to fester, but they are now influencing Iraq as a whole, altering what happens in Baghdad. Putting Iraq first is a controversial policy. The northern part of Iraq has been home to Kurdish political groups agitating for independence for decades. Disagreements between the two main parties, the Kurdistan Democratic Party (KDP) and the Patriotic Union of Kurdistan (PUK), have long been the norm, but they have previously been held together by a belief that the Kurdish movement should present an outwardly united face. When the two parties have worked on pan-Iraqi policies in the Baghdad parliament, they have tried to present a united front. The referendum on independence last year and its consequences have changed all that and relations between the two are at their lowest point for two decades. So tense have been relations that Bafel Talabani, the son of the PUK’s founder and the man tipped as a future leader of the party, gave an interview last week in which he called a return to intra-Kurdish military conflict, as happened in the 1990s, a “doomsday scenario” and pledged it would not happen. Nonetheless, there is open political conflict and that has an effect on the whole of Iraq. The new president, a position reserved for a Kurd under Iraq’s post-2003 power-sharing arrangements, is from the PUK, which has previously preferred better relations with Baghdad, whereas the KDP has pushed harder for complete secession. So strained are relations that, unusually, the two sides did not agree on a candidate for the Iraqi presidency at the end of September. Instead, Barham Salih, a former prime minister of the Kurdish region, who had been part of a different political party, suddenly rejoined the PUK and swept to victory, despite fierce opposition from the KDP. The expectation is that Salih will adopt an “Iraq-first” strategy as president, seeking to draw the Kurdish province closer to Baghdad. PUK leaders have even talked of “increasing” their presence in Baghdad, taken as a commitment to the Iraqi state, and a rejection, for now, of secession. After his election, Salih said that Kurdish independence could only come through good relations with Baghdad, a change from the more confrontational approach that Masoud Barzani, the head of the KDP, has taken. KDP-supporting media called Salih “a turncoat”. Divisions between the two parties, which operate along dynastic lines, were crystallized by last year’s disastrous decision to stage a referendum on Kurdish independence, and in particular the insistence on including the disputed city of Kirkuk. Kirkuk, a mixed city of Arabs and Kurds, sits on perhaps 30 percent of all Iraq’s oil. Without it, any independent Kurdistan would not be viable, but it is a matter of deep controversy whether it can be said to be part of Kurdistan proper and certainly whether it could secede without its mixed population agreeing. Barzani was warned by almost every international ally not to go ahead with the referendum, and even the PUK had doubts. Baghdad had warned the Kurds that any referendum that included Kirkuk might trigger a military response to remove Kirkuk from Kurdish control and, just days after the referendum, that is precisely what happened. Iraqi forces moved north and retook the city. Losing Kirkuk in that way was a significant blow to Barzani, the KDP and the wider Kurdish project. He stepped down from the Kurdish presidency. Yet he has deftly rebuilt his support and led the KDP to a convincing victory in last month’s Kurdish elections. The KDP took more than double the seats of the PUK, allowing them to govern without a coalition. Still, in the complicated world of Iraqi politics, triumphing in the Kurdish north does not equate to more influence in Baghdad. How to deal with the central government is one of the central themes of Kurdish politics and the two parties take different views. The PUK has often emphasized the severe indebtedness of the Kurdish region, despite its oil wealth, and the manner in which political positions are doled out along clan lines. Although the PUK did not openly dissent from last year’s referendum, it is known to have had doubts. The KDP, meanwhile, still hopes to reverse the territorial losses from last year and separate from Iraq. The outcome of that intra-Kurdish debate will have an effect on Iraq itself, because Kurdish lawmakers take up portfolios in Baghdad. A more confrontational stance with Baghdad could create political deadlock; a more conciliatory stance could make independence slip away even further. In his interview last week, Talabani of the PUK essentially put independence on the back burner, a clear rebuke to the KDP. It is not, he said, “an issue that needs addressing now”. That the son of a man who spent his life fighting for Kurdish issues should feel comfortable saying that is an indication of how far the referendum has changed the terms of the debate. Many Kurds appear to feel that independence has fallen further away, and are even reluctant to pursue it. Given the immense challenges that Iraq as a whole now faces, seeking to put the country first should not be seen to detract from Kurdish aspirations for additional powers. But many Kurds are understandably fearful that independence someday will become independence never. For the Kurds, Iraq-first policies have a tendency to become Iraq-only.